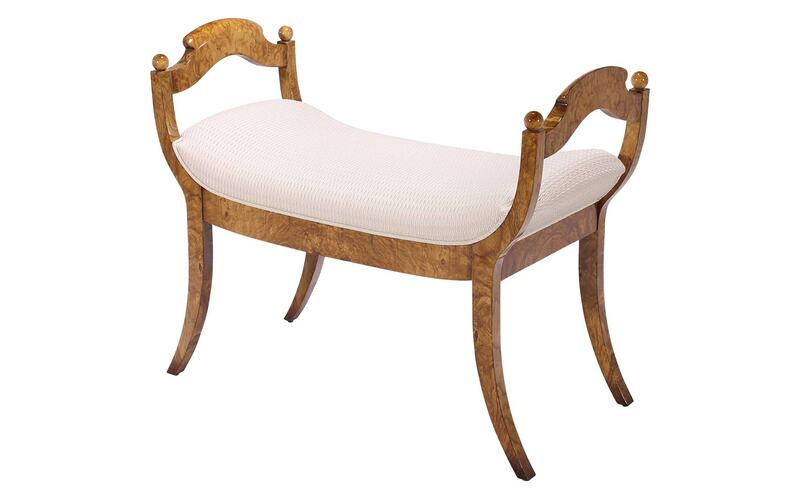 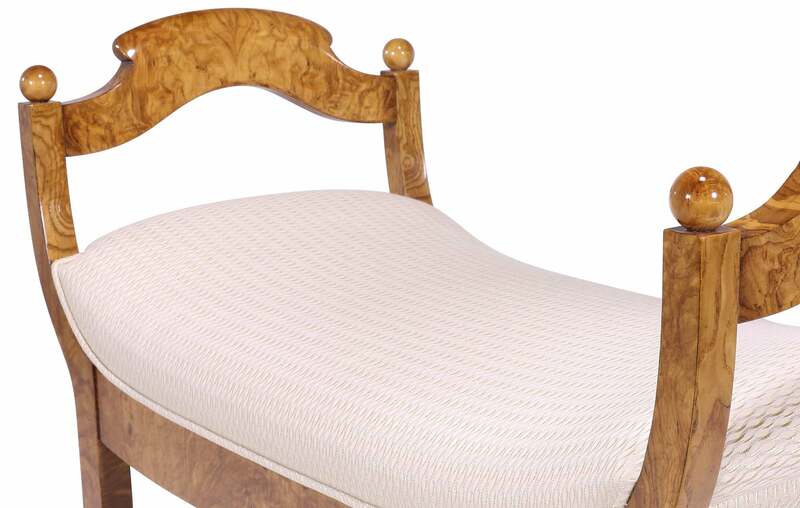 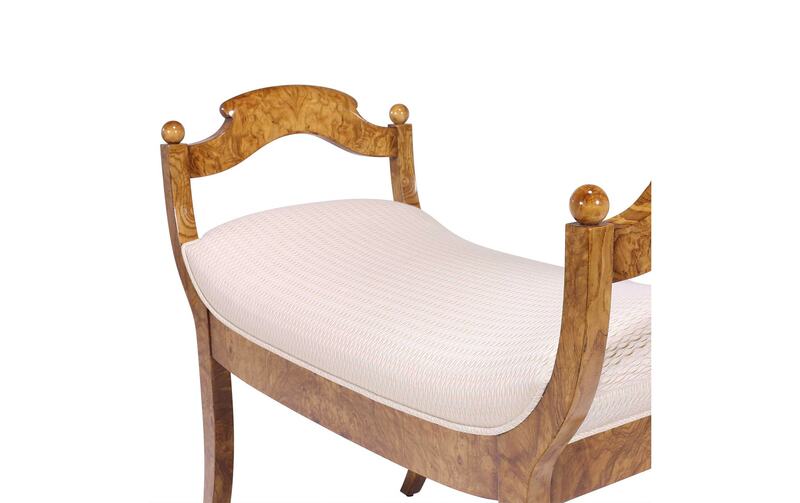 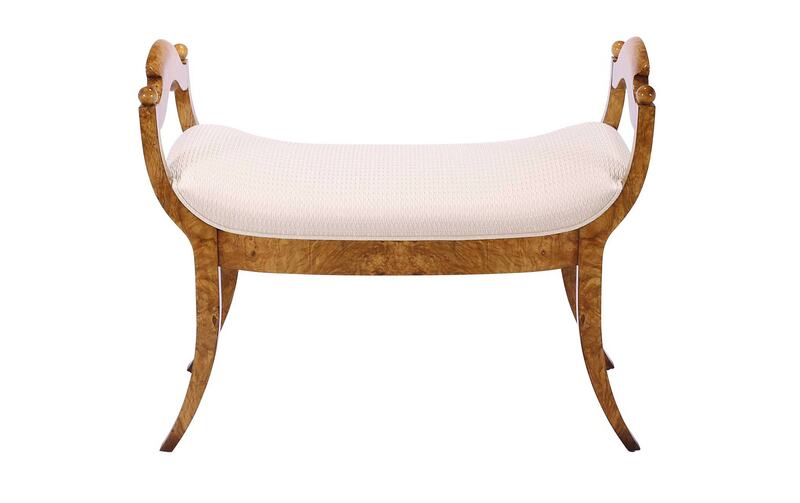 Composed of graceful, curved lines, the Biedermeier Bench is an elegant celebration of mid 19th century style. 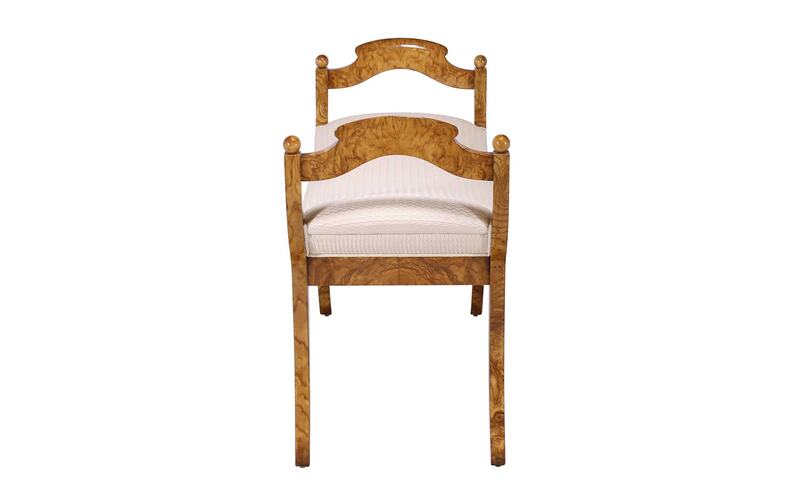 Crafted with the understated principles of the influential Biedermeier movement, this piece is made from burled Olivewood veneers with optional French nails. 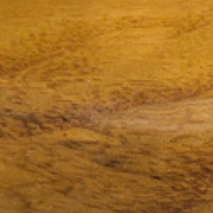 0.75 yards of customer’s own material required. 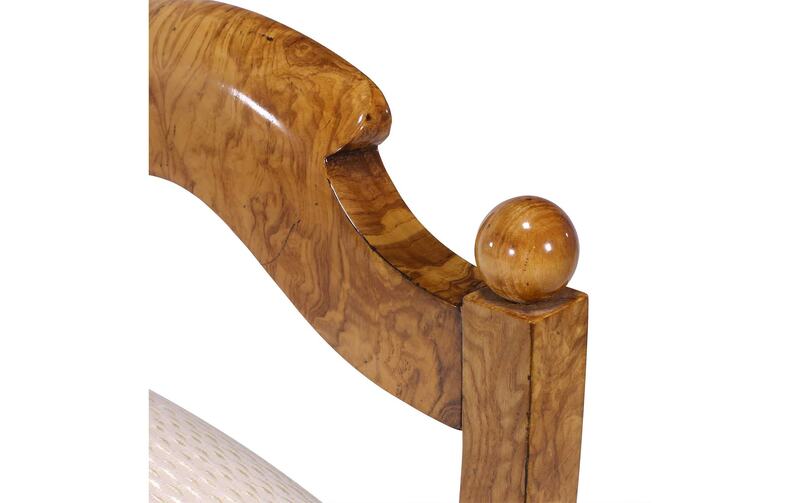 Made by William Switzer, an artisan studio famed for using traditional furniture construction techniques passed down for over 200 years.